Hide blemishes as if they never existed with BeYu 24h Perfect Finish Foundation. This light weight foundation gives optimum coverage and mattification with no mask-like effect. The comfortable texture of this flowing foundation blends naturally with your skin. Pleasantly light to wear despite being long-lasting. Lasts for up to 24 hours. Suitable for all skin types - especially for normal to oily skin. 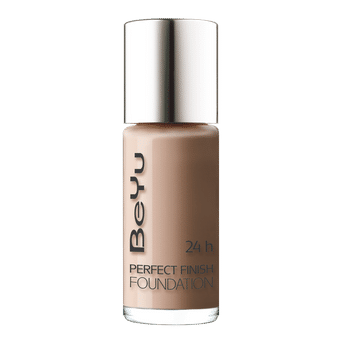 Alternatively, you can also find many more products from the BeYu 24H Perfect Finish Foundation range.